In Jailbreak Out of History, revolutionary Amazon theorist Butch Lee shows how the anticolonial struggles of New Afrikan/Black women were central to the unfolding of 19th century amerika, both during and “after” slavery. 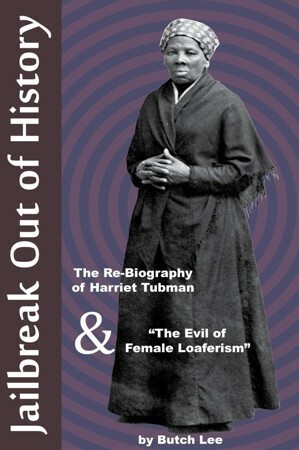 Jailbreak Out of History‘s second essay, written in 2014, picks up the story where The Re-Biography leaves off, showing how New Afrikan women’s labor and resistance remained central to how the global class struggle played out in the united states after the white men’s Civil War came to an end. “The Evil of Female Loaferism” details New Afrikan women’s attempts to withdraw from and evade capitalist colonialism, an unofficial but massive labor strike which threw the capitalists North and South into a panic. The ruling class response consisted of the “Black Codes”, Jim Crow, re-enslavement through prison labor, mass violence, and … the establishment of a neo-colonial Black patriarchy, whose task was to make New Afrikan women subordinate to New Afrikan men just as New Afrika was supposed to be subordinate to white amerika. “New Afrikan women’s strategy back then grew spontaneously out of their daily lives, their experiences and needs. Not out of some textbook or some political protest routine. Stubbornly living communal culture and fighting capitalism is often ignored or dismissed as “impractical.” Yet and again, it was that partial strategy by women back then that proved most useful in real life. Still, it did not make that very difficult hurdle from the level of spontaneous breakout to the level of conscious strategy. In which analysis, tentative strategic understanding, new tactics & practice, criticism of results, and then the emergence of new strategy, all flow in a continuous dialectical circle of struggle. And those partial women’s struggles & victories, great as they were, underline the reality that if you don’t have a strategy to end a war then someone else will usually end it for you. But you won’t like it.